At the start of the Hackathon, I saw one of the Myo controllers, and decided that they looked like something fun to use in my hack. 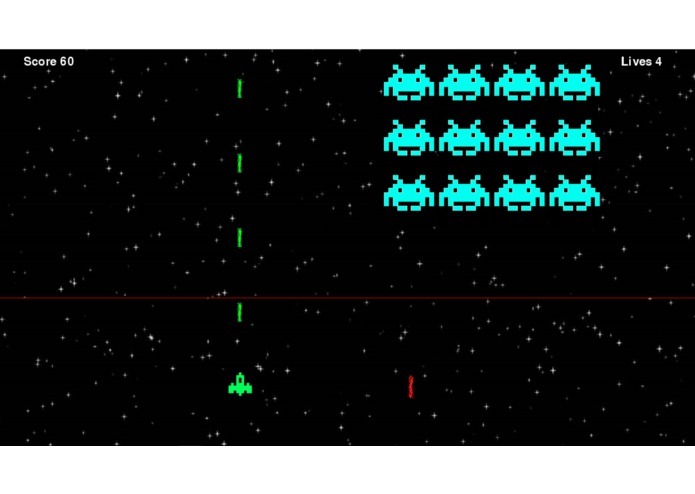 I decided to do it with space invaders because of the relatively simple control requirements. Using the rotation of your wrist, you can move your defender side to side, in order to dodge the lasers of the attackers, and to aim your own! I went through the Myo API, and found some C++ example code that I could build off. I built upon that code, and created an application that translated rotation of the Myo into keyboard input. This whole time, Nikolai was building a simple space invaders game that could take these keyboard inputs and translate them into input. C++, to plan at least half of your time to debugging etc. Perhapes a better or more detailed control scheme.